The penultimate stop of Season 11 of the European Poker Tour came to a close on Saturday with the conclusion of the EPT Malta €5,300 Main Event. The tournament attracted 895 players and created a prize pool of €4,340,750. 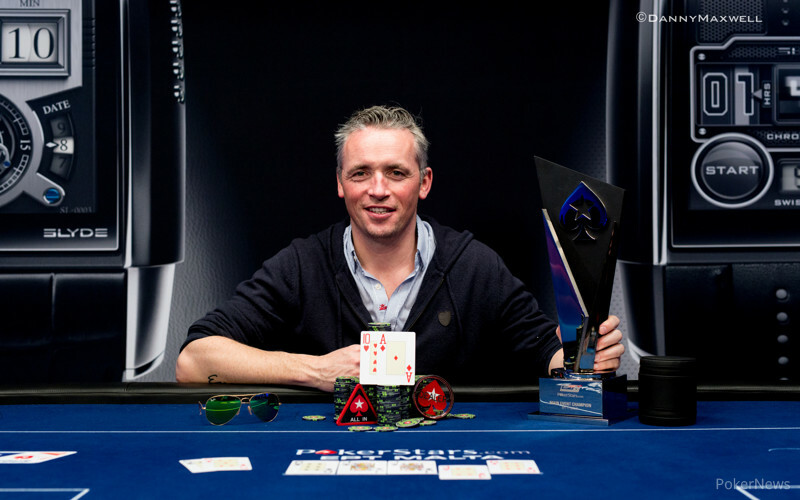 Just six players returned for the sixth and final day of action, and after 14 hours of play, France's Jean Montury emerged victorious to capture the €687,400 first-place prize and a SLYDE championship watch. Montury, 41, is a former pool champion who discovered Texas hold'em in the late 90s during a trip to Las Vegas. Nowadays, Montury runs a tourism complex and golf course in Arras, France, but makes no secret of his desire to become a professional poker player. His results include winning a Barriere Deauville event in 2012 for €30,300, finishing 41st at EPT Deauville for €12,080, and coming fourth in the FPS Deauville €2,000 High Roller for €57,290. 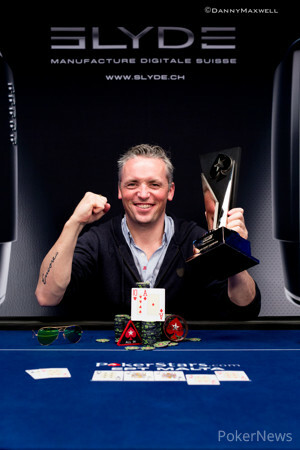 Now, he is an EPT champion. The day got off to a quick start when Hossein Ensan, who finished third in the EPT Barcelona earlier in the season, got his short stack all in holding the only to run into the of 2014 PokerStars Caribbean Adventure champ Dominik Panka, who was one day removed from his 24th birthday. Ensan failed to get lucky, and took his leave in sixth place. Interestingly, Javier Gomez Zapatero, the Day 3 chip leader, would fall 23 hands later under similar circumstances. He got his stack all in holding the same hand Ensan did, and once against Panka woke up with . The board ran out clean, and Zapatero's hope of becoming the first Spaniard to win an EPT main event came to an end in fifth place. Four-handed play lasted quite a long time, but eventually Germany's Stefan Schillhabel fell when he ran pocket fours into Valentin Messina's pocket sixes. Panka's luck finally ran out during three-handed play when he lost a pot worth 10.5 million after getting it in with the against the of Montury. Panka's hand held through the turn, but a ten on the river gave Montury Broadway and the win. Panka, who was playing his last event as a PokerStars-sponsored player, took home €347,300 for his third-place finish. Poland's Dzmitry Urbanovich set a tour record by taking down four events at the EPT Malta festival, including the the €25,000 High Roller for €572,300. Read all about his historic performance here. At that point, the two Frenchman struck a deal where Messina, who held a slight chip lead, locked up €615,000 while Montury secured €587,400. That left €100,000 and the title on the table, and both players fought hard for it, so much so that heads-up play lasted several hours. During that time, Montury worked his way into the chip lead and whittled Messina down. It was a long, grueling affair that lasted into the early morning hours, but eventually Montury sealed the deal to etch his name in EPT history. On Hand #265, Messina moved all in with the and Montury called with the to emerge victorious after the board had paired twice to counterfeit the pair of Messina. That does it for PokerNews' coverage of EPT Malta. Season 11 of the EPT will wrap up in a little over a month with the PokerStars and Monte-Carlo Casino EPT Grand Final from April 30 through May 8. Good news for poker fans, the PokerNews Live Reporting team will be there to capture all the action from the €100,000 Super High Roller, €10,600 Main Event, and €25,500 High Roller. Hand #264: Valentin Messina limped with and folded to the shove of Jean Montury, who held the . Hand #265: Messina open-shoved for 8.7 million with and Montury called with the . After the flop there were some counterfeit outs, yet the turn changed nothing. The dealer then burned and turned the to make the pocket fives of Messina worthless and send him to the rail in 2nd place. As per the deal, the Frenchman receives €615,000 for his efforts and a long night of poker has come to an end. The recap of today's action will be available shortly. Hand #258: Valentin Messina mucked his four-high and Jean Montury received a walk. Hand #259: Nine-high wasn't good enough for Montury either and Messina got a walk. Hand #260: Messina limped with the and Montury checked . On the flop both players checked. The turn saw Montury lead for 700,000 and Messina raised to 2 million, receiving a call. The river completed the board and Montury seemingly had a decision to make before checking. Messina double checked his cards and then gave up the pot, checking behind. Hand #261: Messina received a walk. Hand #262: Messina limped with from the small blind and Montury shoved the big blind for 15.65 million chips with . Messina gave it some thought but released his cards into the muck. 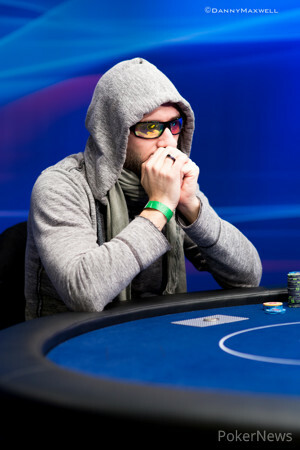 Hand #263: Jean Montury limped in with and Valentin Messina peeled with to see a flop. Montury bet one million and Messina check-folded. Hand #251: With 1.6 million in the pot on a flop of , Valentin Messina bet 500,000 and called the raise of Jean Montury to 1.35 million with his . Montury had the and they checked the on the turn. Messina then bet the river with ace-high for 900,000, playing the two pair on the board. Montury raised to 2.3 million and that sent Messina into the think tank, eventually resulting in a fold. Hand #252: Montury received a walk in the big blind. Hand #253: Montury's went into the muck and Messina received a walk. Hand #254: Messina raised to 1 million with and received a call from Montury with the . On the flop, neither player got fancy and checked. A on the turn didn't change much; but Messina bet 1 million and that shut down all further action. Hand #255: Montury found an ace in and raised to 1.05 million in order to win the pot preflop. Hand #246: Valentin Messina raised to 1 million with and Jean Montury called with the to see a flop of . Messina's continuation bet of 800,000 awarded him the pot without showdown to eventually jump back into the lead. Hand #247: Montury's raise to 1.15 million chips with didn't find any resistance. Hand #248: Messina raised to 1 million with and that won the pot. Hand #249: Montury made it 1.05 million to go with and Messina shoved with for 14 million in chips, putting Montury at risk. The latter let go. Hand #250: Messina limped with the and Montury checked with . There was no betting action on the nor the turn before Messina then bet the river to scoop the third pot in a row. Hand #245: Valentin Messina was all in and at risk preflop with and Jean Montury made the call for 6.45 million with the . The flop put a stronghold on yet another double and it was locked after the turn to make the river meaningless. Hand #241: Jean Montury had the button and called with . Valentin Messina checked with and the flop came . Montury bet 600,000 and was called to see the turn. A 1.1 million Montury bet did the job on that street. Hand #242: Messina folded off the button and was shown . Hand #243: Montury folded on his button.